Last night’s Stuff Happens revival was concerned with warmongering men chasing glory from afar. Now we meet the women who suffer most from such conflict: 13 Syrian refugees, driven from their homeland. Their voices are seldom heard amidst the din, but thanks to Georgina Paget, Charlotte Eagar and William Stirling’s drama therapy workshop, which grew into a fully-fledged performance and will tour nationally following its London run, those voices will ring out across the UK. 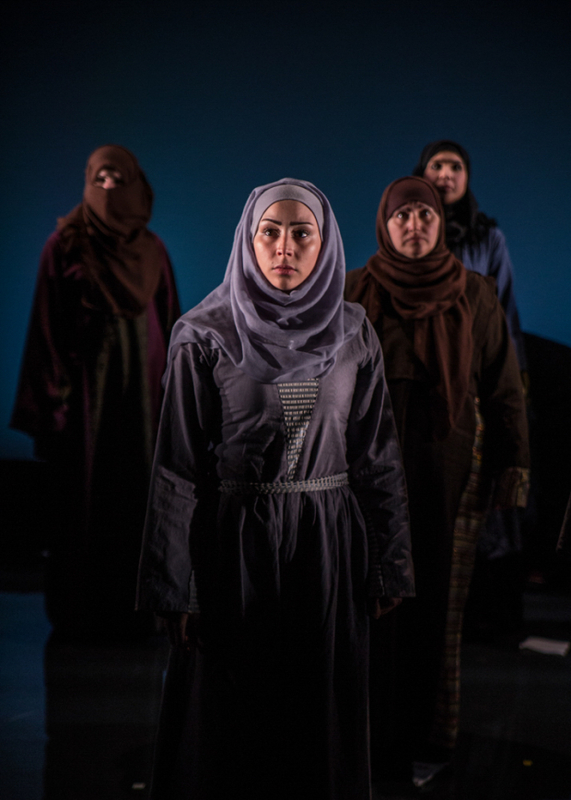 This entry was posted in Journalism, Theatre and tagged broadwayworld, euripides, queens of syria, refugee, review, syria, the trojan women, trojan war, troy, war, young vic. Bookmark the permalink.